During the 16th century, in the town of Maybole, Ayrshire, lived the families of over twenty noblemen, all belonging to the Kennedy family. In an eternal struggle for power, feuding between these rival families was legendary and caused catastrophic problems between them. Gilbert 4th Earl of Cassillis (pronounced Cassells), was the head of the Kennedy family and was a confidant and adviser to Mary, Queen of Scots. They were close enough friends that Queen Mary gave Gilbert a necklace as a keepsake. In 1566, Mary Queen of Scots and her husband Henry, Lord Darnley, were presented with a deed apparently signed by Quentin Kennedy, former Abbot of Crossraguel (pronounced Crossregal) now deceased, granting the Abbey to his nephew, the twenty-four year old Gilbert Kennedy, 4th Earl of Cassillis. 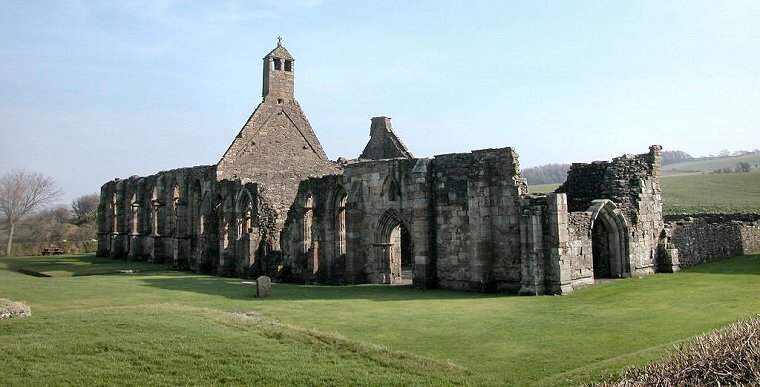 The Abbey was the final piece of land that completed Cassillis' rule over all of Maybole. It was written that was he was known as ‘the king of Carrick being ane particular man, and one werry greedy man, and cared not how he got land, so that he could come by the same’. Cassillis was so bloodthirsty, that later on when Mary Queen of Scots and her husband, Lord Darnley, were estranged and Mary was considering divorcing him, Lord Darnley ended up being murdered - and guess who had been in their house at that time? Yes, Gilbert Kennedy. Prior to the Abbey coming into Queen Mary's possession, however, Quentin Kennedy had challenged the famous John Knox (leader of Scotland's reformation) to a debate, which left the area polarised between Catholics and Reformers. During his visit, Knox had stayed at the home of his brother-in-law Thomas Kennedy of Bargany, a powerful cadet branch of the Cassillis Kennedys. Thomas was married to Isabel, the daughter of the staunchly Reformist Andrew Stewart, 2nd Lord Ochiltree, and Knox was married to Isabel's sister, Margaret. So on Quentin Kennedy’s death in 1564, Knox convinced the Crown to keep open the vacancy to the Abbacy. Allan Stewart, a brother (although probably an illegitimate half-brother) of Isabel and Margaret, was then appointed as the lay Commendator of Crossraguel, allowing him to take possession of the all of the desirable Abbey lands. This greatly infuriated Cassillis, who thought he would be appointed Commendator himself. However, Stewart's appointment didn't stop the Earl from continuing his quest for the Abbey. ​Come to find out, Mary and King Henry were unaware that the Abbot’s authority (his Uncle Quentin's signature) had actually been forged by Cassillis who had arranged for a monk to counterfeit the Abbot’s signature, and then ordered the monk's assassination to cover the deception. As extra protection to ensure that the story did not leak, Cassilis’s uncle, Hugh Kennedy of Barquhanny accused the assassin of theft and had him hanged. To complete the transfer of Crossraguel, Cassillis needed the four sureties of the Abbey to renounce their rights. Of course the new Commendator, Allan Stewart, refused to sign, unwilling to be divested of estates, over which he had been granted control entirely legally. ​Each time Cassillis inquired, Stewart’s answer was always a profound no. And now the calculating wheels that a simple desire had set in motion gained momentum, fueled by lust and greed. One summer evening, Alan Stewart went for a walk through the peaceful woods near the Abbey. Unsuspecting of anyone wishing him harm, he was taken captive by the Earl and some of his men and was imprisoned at Dunure Castle. Once a formidable fortress, it lies in ruins today, as shown below. Obviously, the severely burnt Stewart couldn't be released until his injuries had healed, so later when Gilbert left the castle to file his claim to the Abbey and its lands, he ordered his servants to keep Stewart prisoner and tend to his wounds. When Sir Thomas Kennedy, Earl of Bargany, heard of his brother-in-law's plight, he sent his servants under the banner of David Kennedy, his Page [a messenger or apprentice of a nobleman], to the Castle under cover of darkness. Another reason for the Bargany-Cassillis feud had to do with Sir Thomas Kennedy's sister, Elizabeth Kennedy. Elizabeth was married to John Barde of Kilhenzie Castle. Sir Thomas felt that John Barde was not treating his sister well, so he had words with him. John Barde was a close friend and supporter of, you guessed it, Gilbert Kennedy, Earl of Cassilis, who resented his cousin, Sir Thomas, for having words with John. Back to the story . . . being well acquainted with the castle's defensive weaknesses, David Kennedy (the Page) and Sir Thomas' men entered the chapel which led inside the main body of the castle. In the morning when the servants opened the main gates, the rescuers stormed the castle and gained control. When the Earl came to hear of this, he and some of his retainers returned back home to Dunure but were beaten back by Sir Thomas' men, who now had control of the castle. Returning with an even larger force, Cassillis and his men set siege to the castle. They attempted to tunnel their way in, while Sir Thomas' men dismantled some of the battlements, dropping the masonry on the Earl's men below. In the vernacular of the time, it was written that "Bot the Lairdis menne, that was within, keist gritt stanes doune of the heiche battelling of the dungeoune; and so brak the ruiff of the chapell." (Both of the Laird’s men that was within cast great stones down off the high batteling of the dungeon and so broke the roof of the chapel.) Sir Thomas Kennedy, still at Bargany castle, realized that the rescue of the trapped Stewart wasn't going according to plan. He arrived with a far superior force, defeated Cassillis and his men, and finally released the captive Stewart. Alan Stewart told the story of his torture at the hands of Cassillis at Ayr's Market Cross, denouncing his persecutor to an indignant population. 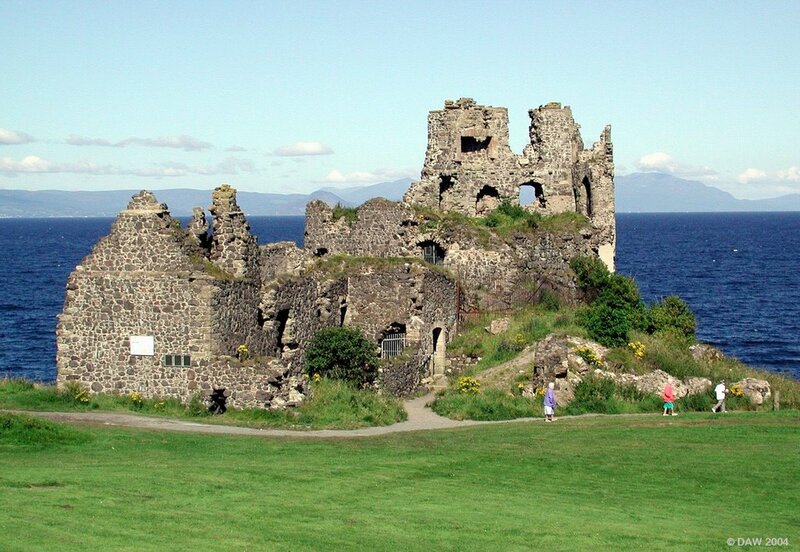 Cassillis eventually came to terms with Stewart, and in the spring of 1571, Dunure was restored to him. With the return of Dunure, Cassillis was required to provide a surety of £2,000 to leave Allan Stewart alone and to give him an annual pension. Cassillis also agreed to purchase Crossraguel for a fair price, yet he failed to comply. For breaking the terms of their agreement, Cassillis was to be imprisoned at Dumbarton. Until his death in 1576, Cassillis remained staunchly loyal to Mary, now imprisoned in England. The 4th Earl of Cassillis, Gilbert Kennedy, died not long after. Two stories emerge here - either he was slain by Hugh Campbell, the Sheriff of Ayr, aided by a great number of followers, or his horse fell and he died of his injuries. Either way, The 4th Earl of Cassillis was gone, and his son, John Kennedy, the 5th Earl of Cassillis took over the title and the family lands. The Cassilis-Bargany feud continues . . .
Several years later, John Kennedy, rode out from Maybole Castle at the head of 200 armed followers to declare revenge against Sir Thomas Kennedy, the Laird of Bargany who had saved Alan Stewart and exposed the crimes of his father. On the farm of West Enoch, near the town, outnumbering Sir Thomas' men greatly, the new Earl of Cassillis, John Kennedy, attacked. Sir Thomas, mortally wounded, was carried from the scene of the battle to Maybole. John ordered that should he show any sign of recovery, he should be removed to Ayr, knowing the journey would end the deed began by his men. It was there in Ayr where Sir Thomas Kennedy of Bargany died a few hours later. Now, flagrant though the deed was, it not only passed unpunished - through bribery and state influence - but was formally noted by an act of council as a good service done to the King. One dastardly deed deserves another . . .
Now, a gentleman by the name of Johnn Muir (or Mure), who was the Laird of Auchendrane and son-in-law of the slain Sir Thomas Kennedy, Laird of Bargeny, was one of the few remaining people who bravely dared to cross paths with John. Muir, along with Sir Thomas' son, Gilbert Kennedy, aged 21 and the brand new Laird of Bargany, vainly attempted to battle John and his men for revenge. At this battle, Gilbert Kennedy of Bargany was mortally wounded by the stroke of a lance thrown at him from behind. And Johnn Muir received some severe wounds in the encounter. Muir returned to Auchendrane to nurse his wounds. Still thirsting for revenge, however, Johnn Muir learned that another Sir Thomas Kennedy, the Laird of Culzean (pronounced Killane), lived nearby. This Sir Thomas was the brother of the deceased Gilbert Kennedy of Cassillis and tutor and guardian of his son, John. So Muir gave up on killing John, but instead changed his plans for revenge slightly and focused his efforts on murdering Sir Thomas Kennedy of Culzean. In the year 1597, Muir came with a party of followers to Maybole, where Sir Thomas of Culzean then resided, and he lay in ambush in an orchard, through which he knew his destined victim was to pass in returning from a house where he was to take supper. Armed with hagbuts and pistols, Muir and his men fired upon Sir Thomas of Culzean. Having missed their aim, they drew their swords to slay him. But this Thomas had the good fortune to hide himself in a ruinous house and thus escaped. Afterwards, Sir Thomas prosecuted Muir for this assault. Finding himself in danger from the law, Muir made a sort of apology and agreement with Sir Thomas of Culzean, to whose daughter he united his son in testimony of the closest friendship in the future. This agreement was sincere on the part of Sir Thomas, who, after it had been entered into, showed himself Muir’s friend on all occasions. But it was false and treacherous on the part of Muir, who continued his purpose of murdering his new friend and ally on the first occasion. Now, to thicken the plot, Muir persuaded his son, Gilbert Muir, to thumb his nose, as it were, at John. As instructed, young Gilbert rode past the castle gates, without waiting on his chief, or sending him any message of civility. This led to mutual defiance, being regarded by the Earl, according to the ideas of the time, as a personal insult. Refusing to ignore the insult, both parties took to the field with their followers, about 250 men on each side. The action that ensued was shorter, and less bloody than might have been expected. Gilbert Muir, with the rashness of headlong courage, and his father, Johnn Muir, fired on the House of Cassillis, and declared an attack on John Kennedy, whose men were strongly posted and under cover. They were received by a heavy fire and poor Gilbert Muir was slain. His father was unable to sit on his horse because of a severe wound in the thigh, and with the leaders thus slain or disabled, their party drew off without continuing the action. It must be particularly observed that Sir Thomas Kennedy of Culzean (who was an uncle to Earl John, but whose daughter was now married to Muir's son) remained neutral in this quarrel, considering his connection with Muir too intimate to be broken even by his desire to assist his nephew. For this temperate and honorable conduct he met a vile reward, for Muir, in resentment of the loss of his son, and the downfall of his ambitious hopes, continued his practices against the life of Sir Thomas, though totally innocent of contributing to either. Chance favored his wicked purpose. Sir Thomas of Culzean, finding himself obliged to go on a particular day to Edinburgh, sent a message to Muir to meet him at a certain point in the road, for the purpose of giving him any commission he might have for that city, promising him that he would attend to the business as faithfully as if it were his own. This suggested to Muir another diabolical plot. He instigated his brother to meet Sir Thomas at the place appointed and murder him, which they accomplished. Sir Thomas Kennedy of Culzean lay dead, shot several times in the back with pisolets. 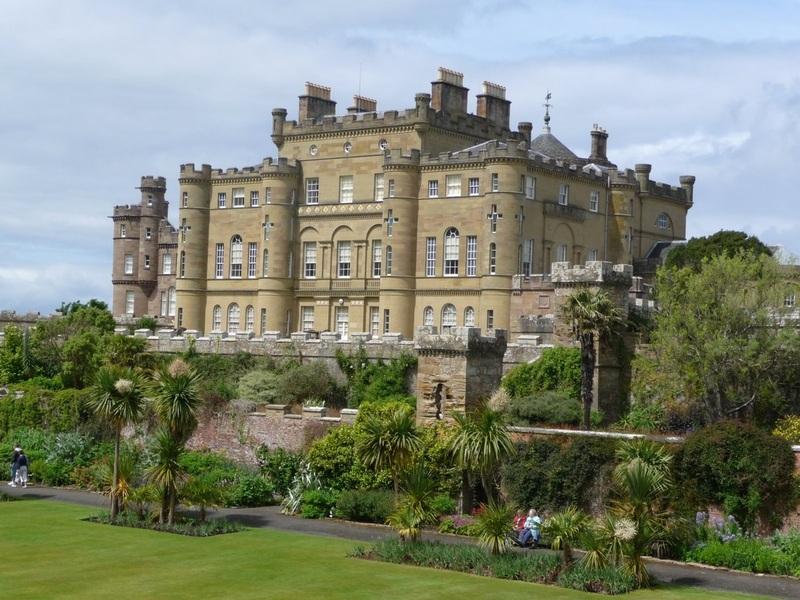 Now there was just one loose end to tie up – a witness who knew of Muir’s connection with Sir Thomas Kennedy of Culzean - a poor student by the name of Dalrymple. Dalrymple had been the bearer of the news which originally provided Sir Thomas Kennedy, the Laird of Bargany, with information that the Earl of Cassillis held Stewart captive and was torturing him for his Abbey. Dalrymple, who was by now an officer in the King's army, became the object of his fears. Muir felt that if Dalrymple ever came back to town, he would figure out that Sir Thomas was killed because Muir had it out for him. So Muir called on a friend, James Bannatyne, to entice Dalrymple to his house, situated at Chapeldonan, a lonely place on the Girvan shore. Bannatyne, accompanied by Muir, and Muir's other son, murdered Dalrymple there on the shore at midnight, then buried his body in the sand. Dead men tell no tales . . . or do they? It’s funny that justice always has a way of showing up when you least expect it. Seeing that Dalyrmple’s corpse had been unearthed by the tide, Bannatyne and Muir took him out to sea at a time when a strong wind blew from the shore. Thinking their deed was done and there were no witnesses, they returned home. As luck would have it, however, days later the body was brought back by the waves, and cast up on the shore at the very scene of the murder. Once Dalrymple's body was discovered, Muir and his son fell under general suspicion, and now endeavored to part ways with Bannatyne. However, it was too late. Bannatye made a full confession to the civil authorities of the whole ordeal. In 1611, Johnn Muir, the Laird of Auchendrane, son-in-law of the slain Sir Thomas Kennedy, Laird of Bargany, was arrested and tried for both murders - Sir Thomas Kennedy of Culzean and Officer Dalrymple. Muir's remaining son and Bannatyne were tried for only Dalrymple’s murder. Being found guilty, the three were taken to the Market Cross in Edinburgh, and there upon a scaffold, their heads were struck from their bodies. All their lands, heritages, etc., were confiscated for use by the Church. The end. John Kennedy, 5th Earl of Cassilis, lived on to the ripe old age of 40 and died in 1615. His son, also named John Kennedy, became the 6th Earl of Cassilis. 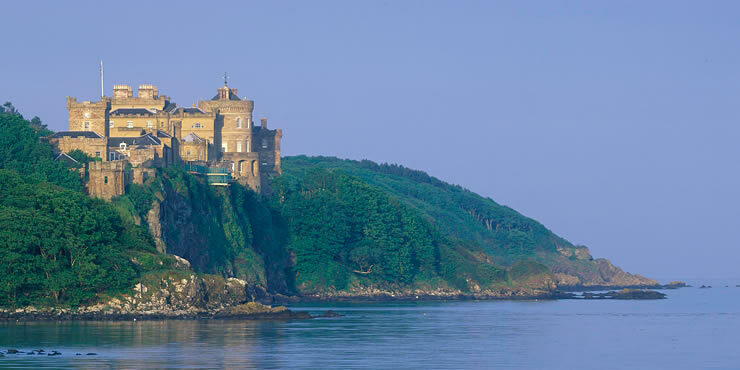 The Kennedy's retained their lands, the Cassillis House, and Culzean Castle until 1945 when Charles Kennedy gave Culzean Castle to the National Trust for Scotland in order to avoid inheritance tax, leaving Cassillis House as the major house remaining in the Kennedy family. 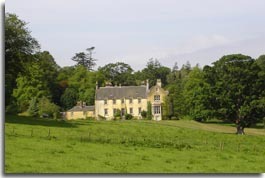 Cassillis House was then put up for sale in 2008 with a guide price of £2.5 million. It was bought in 2009 by the Australian internet insurance specialist Kate Armstrong and her husband Malcolm. They set about restoring the castle back to its former glory, and it was featured in the BBC program Restoration Home in 2013.
aka "The King of Carrick"
Brother to Gilbert Kennedy of Cassillis. Killed Sir Thomas Kennedy of Culzean to avenge the death of Sir Thomas Kennedy of Bargany, killed Officer Dalrymple to "tidy up"